Here's the latest training information from our Deanery Youth Champion, Beks Korniej. Thank you so much for all you’re doing to help and encourage young people across the Colchester area. I do hope everything is going well with your ministry. It’s fabulous to hear about the fun and creative ways the youth and schools workers across the area are encouraging and equipping young people to grow in life, faith and discipleship. I particular love seeing and hearing about the amazing things young people can do when given responsibility and the opportunity to lead and share about their relationship with God. I’d like to encourage you through 2019 to aim to include opportunities within your ministry and that of your church to listen to young people and give them mission and ministry responsibilities. Jesus was only 12 years old when he went into the temple and stunned the priests and teachers with his wisdom and understanding. Of course being Jesus his DNA gave him an advantage to our 12 year olds. Never the less those priests and teachers set a great example by listening to him and they learnt from him as he shared about his Father. I know from personal experience that we too can learn much from young people when we listen and they’re given space to share about their relationships and knowledge of both their earthly family and their heavenly Father. We’ve just had the winter JOY youth event. Joy is an opportunity for young people from across the Colchester area to join together for a mixture of lively activities, creative fun, reflection, teaching, discussion and worship. Over 50 young people joined in the event. Watch out for the date for the next JOY on the Colchester yuuuuuuf workers facebook group. If you or any of your young people would like to be on the planning team please do let Dot our Diocese Youth Advisor know. Dot’s email is dsalmon@chelmsford.anglican.org. On Saturday 4th May from 10am to 4pm Soul Survivor will be hosting a gathering of church leaders, youth leaders and young leaders to explore how we can grow church on family principles and raise up sons and daughters. Everyone is welcome to come along. Go to www.chelmsford.anglican.org/youth/training-for-youth-workers for more information and to book your place. 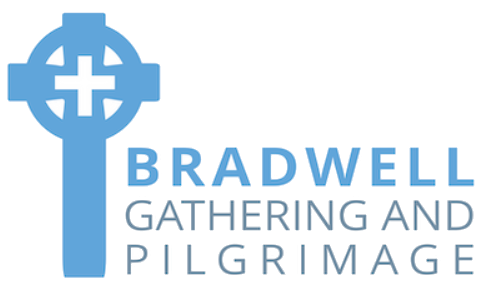 Summer 2019 – Several churches from across the Colchester Area are planning to take young people to Week B at Peterborough show ground 17th – 21st August 2019. For more information about Soul Survivor check out https://soulsurvivor.com/ If you’d like to join in with a group that’s already going from this area please email Matt Williamson at Matt.williamson20@me.com.